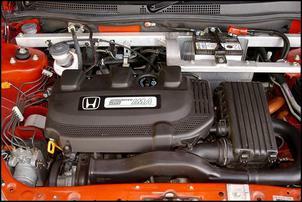 This is Part 1 of our new series on modifying a 2001 model hybrid Honda Insight. The plan is to turbocharge and water/air intercool the engine. That will be followed by fitting fully programmable MoTeC engine management, and adding a MoTeC programmable dashboard. The car will then operate as an aerodynamically superb, extremely light, 2-door, 3-cylinder turbo car – at this stage, the hybrid electric assist and regen braking hybrid system will not be functioning. It’s then intended to add a new electric motor control system and new batteries, interfacing the two control systems (for the internal combustion engine and electric motor) to achieve a level of performance and fuel economy that should be exceptional. In fact, I’d hope that in terms of the fuel economy / performance compromise, it’d then be among the best modified cars in the world. Despite having previously supercharged – and then turbocharged – a Toyota Prius, and having done lots of other car modification over the last 25-odd years, I am not underestimating the magnitude of the challenge – this will be a complex and difficult project. So why bother spending a lot of time, effort and money on a car design that’s 15 years old? 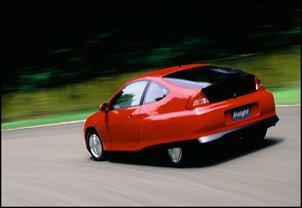 The Honda Insight, first released in 1999, is an extraordinary car. It represents the rare, radical, daring and brave investment that car companies make so infrequently – think Citroen DS, NSU Ro80 or, yes, Toyota Prius. 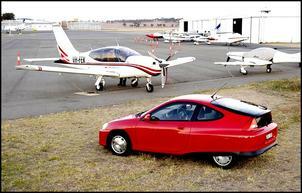 Released in Japan just a little after the 1998 Prius, the Insight and Prius were developed over the same timeline but with very different outcomes. With the Insight, Honda aimed at achieving the most efficient car in the world: anything that would reduce fuel economy was on the table. The result was an extraordinarily aerodynamic body with a Cd of 0.25 – still one of the best-ever in a production car - and with a very small frontal area. The tiny body was made of aluminium and plastic, weighing-in at just 850kg and having only two seats. The engine was purpose-developed for the car, comprising a 50kW, 1-litre 3-cylinder using VTEC valve timing, a magnesium sump and low friction technologies. The engine weighed just 56kg. Bolted to the crank and sandwiched between the engine and the transmission was a 10kW electric motor, run from a 144 volt nickel metal hydride battery pack. The electric motor could provide assist or regen braking – but only when the internal combustion engine was spinning. Drive was through a conventional (although very small and light) 5-speed manual gearbox (a CVT auto was also available). The hasty engineering development made for some odd outcomes – space under the rear hatch was almost entirely filled with a box containing batteries and controllers – but the design goal was achieved… extraordinary fuel economy. In normal, everyday urban driving, the Insight could achieve 3.6 litres/100km, and when driven at 110 km/h on a flat freeway I used to get as low as 2.8 litres/100km – that’s in real world driving, keeping up with traffic and with no special driving techniques. The Australian government combined test figure was 3.1 litres/100km. Of course the Honda (and Toyota) products that followed the first generation Insight and Prius have been vastly less adventurous, in the case of Honda, embarrassingly so. Nothing hybrid that Honda has subsequently produced has come within a bull’s roar of matching the original Insight for its engineering execution – in fact, you really need to look to Volkswagen’s pictured XL1 for a car that picks up the baton and then runs with it. 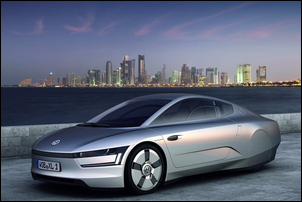 And the XL1 is, at the time of writing, not yet a production car – some 15 years after the Insight was released. So to me, the Insight is a car that is very worthy of spending time and money on. So if I think the car is so good, why modify it? The major reason is that in my Insight, that I’ve owned for about 8 years, the nickel metal hydride high voltage battery pack is now dead. Representing a very different era in rechargeable battery technology and management, the battery pack in the Honda lasts only about 4 years. It is possible to get them repacked with new cells, but logistically here in Australia that is difficult - and you still only end up with a pack that will last a relatively short time. Upgrading to new chemistry cells is possible – but then the battery management system is no longer suitable – and so needs to be replaced. In terms of individual cell charge monitoring and balancing, and also charging strategies, the Honda is now old world. The car will still run with the HV battery defective – but the internal combustion engine then has a reduced rev limit and what feels to me to be retarded ignition timing (ie is in limp home mode). So not only do you lose the electric assist (and regen braking), but the already low power petrol engine is operating sub-par. In a conventional car being turbocharged and fitted with new engine management, the first steps would be to do, well, just that – fit the turbo and intercooler, and then upgrade the management system. But the Insight represents a rather different starting point. So the starting point in making the car a conventional turbo 3-cylinder is to source an appropriate alternator and then bolt it to the engine. 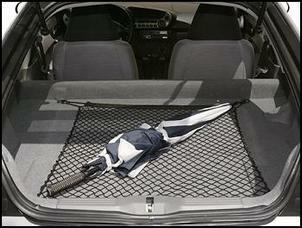 Another key consideration is underbonnet space. The Insight is a small car with a very small engine. So where could everything fit? There is enough room between the engine and the firewall to mount the turbo – but unfortunately, the alternator needs to go in this space as well. Using a water/air intercooler gives packaging advantages, but the heat exchanger would still need to fit under the bonnet – perhaps it could go where the 12V battery normally sits? And then the 12V battery could be relocated to the boot? And what about a new airfilter box? – the standard one would be all wrong in outlet and inlet positions for the turbo. Furthermore, if extraordinary fuel economy were to be retained, engine pumping losses would need to be kept tiny – so all the intake system would need to be sized as if it were flowing 200kW… not (say) 75kW. So that would mean the airfilter needing to be greatly oversized for a 1-litre engine; 2-inch turbo plumbing would need to be used (huge in the tiny engine bay)… and so available space would get smaller and smaller. Clearly, this is one project where lots of planning needs to occur! 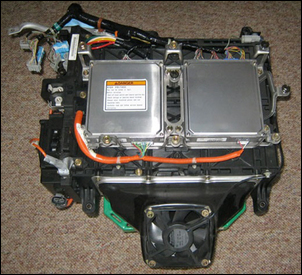 Even harder to estimate is the possible performance gain from fitting new batteries and a new electric motor controller. A smart controller, and a greater available battery voltage, should be able to achieve short-term over-rating of the 10kW electric motor - for example, having 15kW or even 20kW available for (say) 5 seconds. Think of this power as low rpm torque - and the results could be very good indeed. My turbocharging of the Prius actually improved its fuel economy in freeway driving – but reduced fuel economy when all the available power was used. I’d expect something similar in the Honda, but with another potential wrinkle. If a greater-than-standard capacity HV battery is fitted, the potential then opens up for the Insight to become a plug-in hybrid – which for very short trips, would clearly result in outstanding fuel economy. Using modern control and power-boosting technology within a body that is still cutting-edge in aerodynamics and weight is a fascinating project. So let’s get into it – next issue, fitting an alternator to an engine never designed to have one! I think that many people will think this project a waste of time, effort and money. When, for example, they read that I hope to get 75kW from an engine after turbo’ing it, they’ll be rolling on the floor laughing. “My engine produces more than that in each of its four cylinders!” I can hear them saying. But for me the point of car modification has long ago moved away from being about just gaining power. 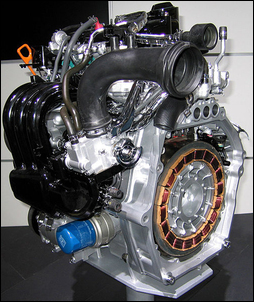 It’s easy to get more power: just pack more air (and then more fuel) into the engine. Workshops around the country do it every day. For me it’s now about efficiency and power – with efficiency easiest measured by fuel economy. So what governs efficiency? Now we have a whole range of complex, inter-relating variables. Variables like aerodynamic drag coefficient, frontal area, rolling resistance, engine internal frictional losses, engine volumetric efficiencies (ie pumping losses), engine thermal and combustion efficiencies – and so on. There is now a group of enthusiasts – hypermilers – who chase efficiency at all costs. They are the people who are typically happy to reduce car useability, or driveability, or driving fun, in order to improve fuel economy by tenths of a percent. But that’s not my thing either. I’d like to have a car that has decent performance and is enjoyable on-road when I want to drive hard – and yet can still turn-in fuel economy that is exceptional. The Insight in standard form has the exceptional fuel economy – I’d like now to give it the performance to fulfil the other side of the coin.